The Vasylivka united territorial community of Dnipropetrovsk region is building its own mini-HPP. They already have UAH 6 million investments to do this. A local HPP will supply electric power to all vital facilities in the event of rolling blackouts. And it will be a small step in the development of alternative energy, stated Serhii Pavlichenko, chairman of the Vasylivka UTC of Dnipropetrovsk region, at a briefing at Ukraine Crisis Media Center within the framework of UCMC project “Spokespersons of communities.” “The local HPP will provide services to all vital facilities in the event of rolling blackouts. This will make us energy independent. 120 kW is not a powerful plant, but it is the first step we can do. […] In 2006, we rebuilt the dam, in 2009 we began solving this issue, but only after we united, we realized the need for alternative sources,” explained Mr. Pavlichenko. Although such a power plant will not cancel the electricity bills for local residents, in addition to energy security, it will provide jobs. 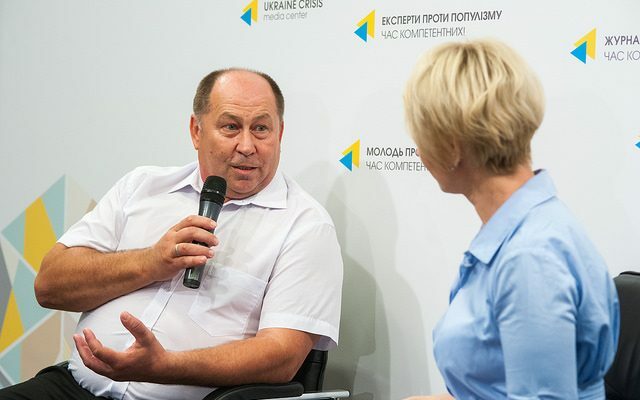 According to Mr. Pavlichenko, jobs are the factor that can bring people back to the village. “Job creation is the most important thing for people to stay in the village and fulfill their potential in the village where they were born,” he stressed. So, the community is building the first cooperative. The Canadian government became a donor. “Our cooperative unites small farm businesses. They also invested UAH 3 million. The cooperative also will create the new jobs. People will earn money for their families and pay taxes to the local budget,” noted Serhii Pavlichenko. We are also planning to rebuild the brick factory, develop tourism and build a modern solid waste landfill. The community has a basic school. The next year it will receive UAH 25 million for modernizing classrooms. “Parents will understand that quality education can be obtained at school equipped with modern devices and visual materials. We are told that it is easier to teach five children than twenty five. But if one teacher teaches three school subjects, it is unlikely that children will gain proper knowledge,” the chairman of the community noted.